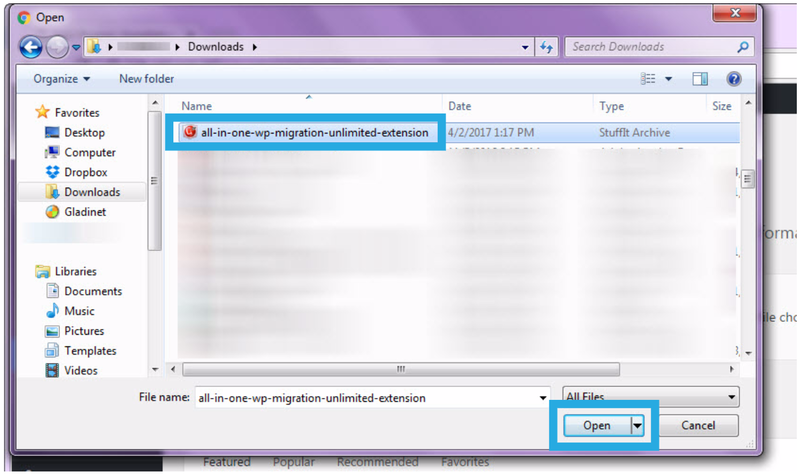 Download the Unlimited Extension from the link in your purchase confirmation email. Congratulations. 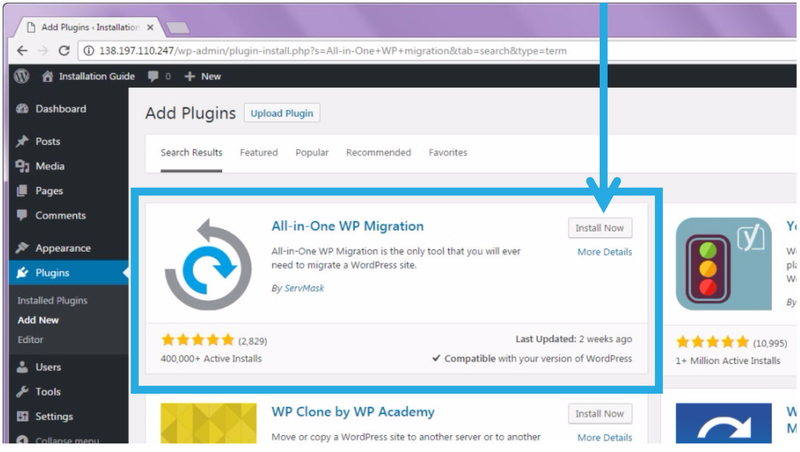 You have completed the install process and can now migrate and backup your website using the Unlimited extension. 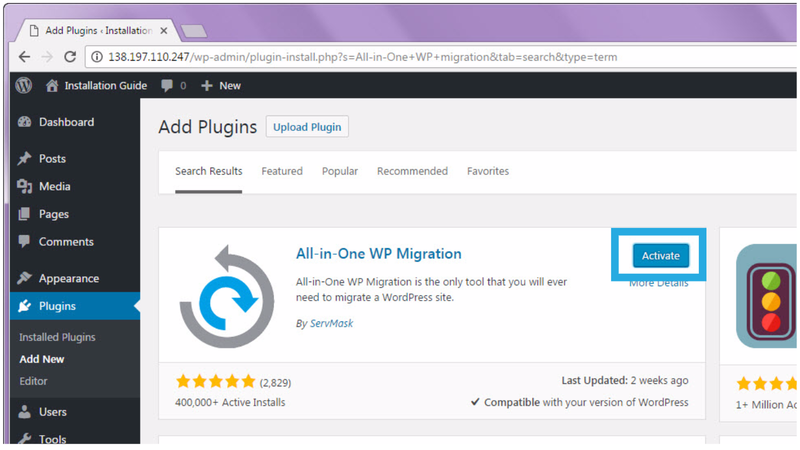 Please make sure that you have the free All-in-One WP migration plugin installed. 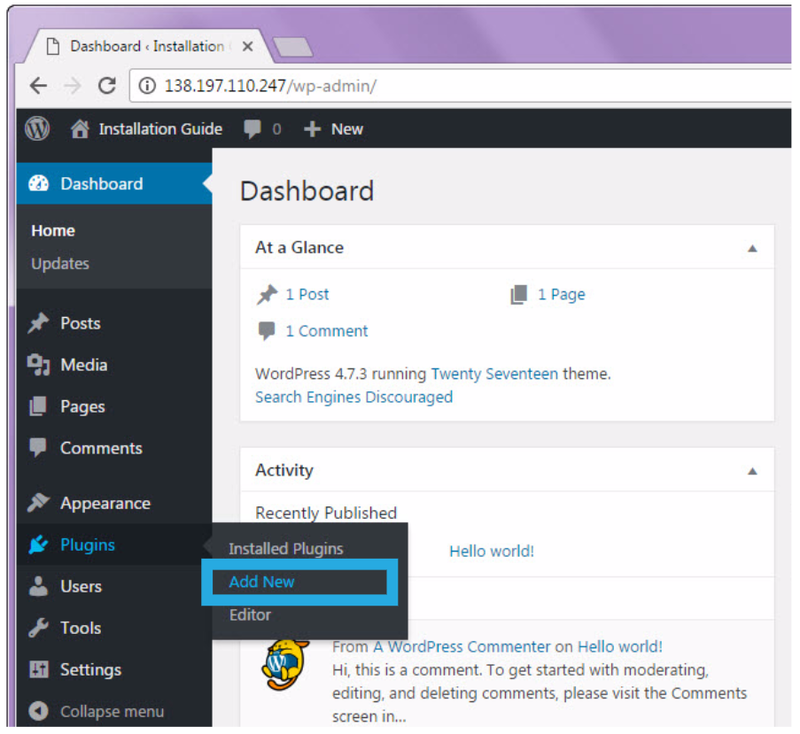 The base plugin is required for the unlimited extension to work. Hi, I’ve done this process multiple times successfully but I’ve been getting an error recently saying that my version is outdated. Every time I attempt to export or import to file, the file fails to download. I’ve looked for an update online but couldn’t find anything. Any thoughts? 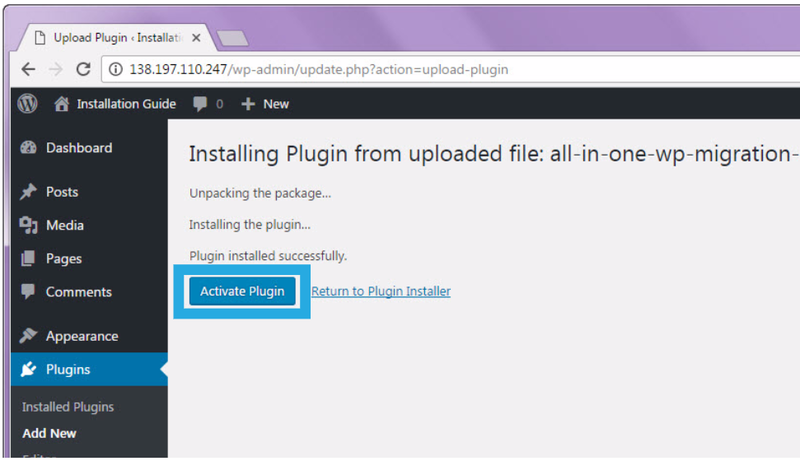 I get the same error, but the plugin doesn’t show any updates are needed. Help please? Have you already emailed support about this? I have a problem, I’m working in Local, during the restore process, when restoring the database, everything stops at 15% and it does not progress anymore. We are sorry to hear that you are having issues. 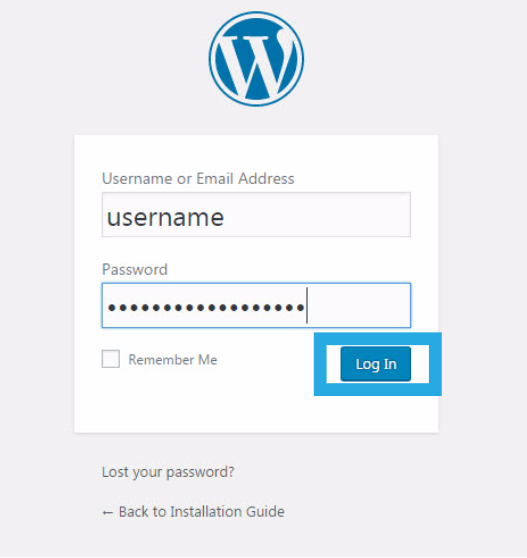 I installed the All-in-One WP Migration successfully, but it cannot be activated, and it will automatically go to the server error. (500 internal server error. How can I fix it? Can you write to us at support@servmask.com? Cases when backup size is not supported are described here: https://help.servmask.com/knowledgebase/php-32bit/. Can you please reach us out at support@servmask.com and describe the error you receive in your message as well. I have installed both the free plugin and the unlimited extension plugin and I am still getting the message “Your file exceeds the maximum upload size for this site: 32 MB”. Could you make sure that the free version and Unlimited Extension are up to date (version 6.79 and 2.22, respectively)? After migration, even after using my login and password of the old site, I ‘am redirected to the same login page.